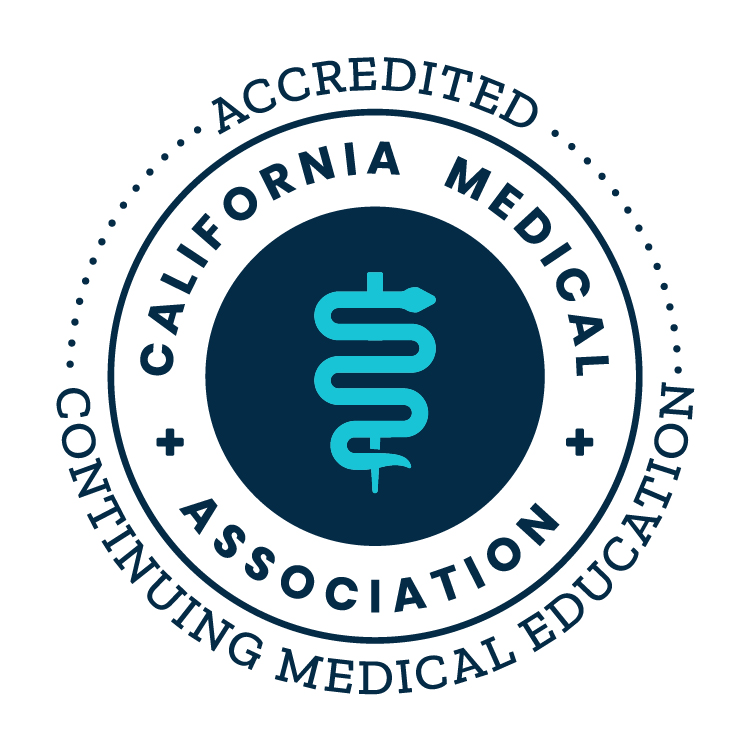 The California Society of Addiction Medicine offers high-quality, evidence-based Continuing Medical Education to enable physicians and other health professionals to improve the treatment of patients with substance use disorders. CSAM courses draw upon the latest research and clinical advances in the scientific and medical communities and feature top experts in the field. CSAM was awarded "Accreditation with Commendation" by ACCME through the Institute for Medical Quality. Accreditation with Commendation is the highest level of accreditation and is awarded to only a small percentage of CME providers. State of the Art in Addiction Medicine 2018 (Videos from the 2018 Conference in San Francisco) CSAM designates this educational activity for a maximum of 17 AMA/PRA Category 1 Credits™ (Physicians should only claim credit commensurate with the extent of their participation in the activity.) This credit may also be applied to the CMA Certification in Continuing Medical Education. Non-physicians will be provided an attendance certificate. The State of the Art in Addiction Medicine Course includes 23 lectures from the live conference held August 30 to September 1 in San Francisco. Review the Conference Brochure for more details by clicking here. CSAM designates this educational activity for a maximum of 15 AMA/PRA Category 1 Credits™ (Physicians should only claim credit commensurate with the extent of their participation in the activity.) This credit may also be applied to the CMA Certification in Continuing Medical Education. Non-physicians will be provided an attendance certificate. Features an interactive Question Bank with 400+ questions updated this year by physicians in the field to span 21 content areas in the ABPM exam, as well as 6 hours of Video Presentations from the Addiction Board Exam Preparation Workshop in San Francisco, CA on August 29, 2018. Also includes CSAM’s Addiction Medicine (online) Study Guide with high-value articles by topic. CSAM designates this educational activity for a maximum of 17 AMA/PRA Category 1 Credits™ (Physicians should only claim credit commensurate with the extent of their participation in the activity.) This credit may also be applied to the CMA Certification in Continuing Medical Education. Non-physicians will be provided an attendance certificate. The Addiction Medicine Review Course consists of 19 lectures from the live conference held August 24-27 in San Francisco. Participants will come away with practical knowledge that can be applied to real-world experiences, as well as the knowledge needed for the Addiction Medicine Board Exam. Webinars present state of the art clinical information and provide an opportunity to link research to clinical practice.